The Revelation of St. John, the last book of the canonical Bible, has been a mystery since it first appeared. No other part of the Bible has caused more controversy. Traditional interpretations of the book fall into one of three categories: the major prophecies that are supposed to have been fulfilled in the destruction of Jerusalem in 70 A.D.; the historical view that Revelation predicts the course of human events from the founding of Christianity to the end of the world; or the futurist view that Revelation predicts events that will occur at the end of the world. It's actually none of the above, writes Zachary F. Lansdowne, a leading expert in the field of spiritual initiation. In the Introduction to this rich and complex interpretation, he writes, "According to its own verses, the Revelation is concerned with the present time, which is whatever time we happen to be reading it, and contains information that we can apply immediately to become blessed." This is not a book about "end times" or Armageddon and when it might come. This is a book written entirely in symbols, concealing a path for early Christians, and for the contemporary reader. Lansdowne has applied a unique psychological method of interpretation that takes each symbol as depicting some aspect of human consciousness rather than an eternal event, thus showing that the Revelation is actually a detailed instruction for the spiritual journey--a map to the wakening of higher consciousness. Moreover, while the Revelation appears in the great lineage of Judeo-Christian tradition, Lansdowne shows that its instruction can be appreciated and applied to seekers from any tradition. Lansdowne's line-by-line and verse-by-verse interpretation--presented here in an easy-to-read side-by-side format--is a manual for the true seeker who would follow teachings of Jesus as they were and are laid out, rather than as they have been interpreted by theologians and biblical historians. 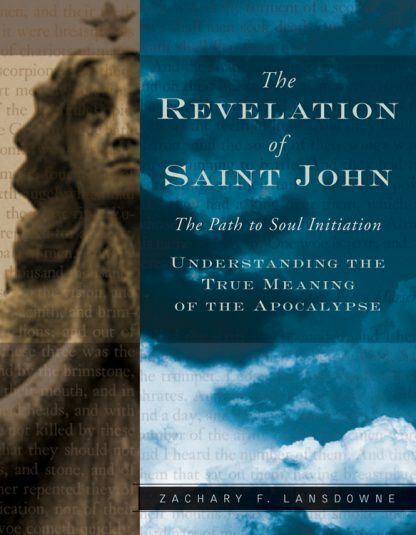 The Revelation of St. John, when unlocked by the key of psychological methodology, is revealed to contain ideas from many diverse wisdom traditions and philosophies--archangels in Judaism, chakras and kundalini in Hinduism, Buddhist mindfulness, the redemptive power of love in Christianity, and absolute standards of comparison in Platonic philosophy. Zachary Lansdowne's revelatory text makes these teachings of the path to true soul initiation available to seekers from every spiritual tradition.